Legendary paranormal investigator Lorraine Warren curates an occult museum at her Connecticut home containing with all manner of troubling objects—strange artifacts from the decades she and her late husband, Ed Warren, dedicated to investigating paranormal phenomena. A local priest still comes to bless the premises and everything within, but even an ordained agent of God won’t unlock the wooden box that houses a smiling, floppy Raggedy Ann doll named Annabelle. 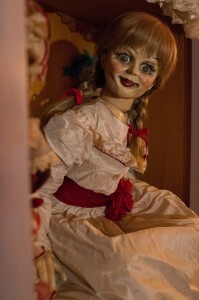 According to Lorraine Warren, among all the dangerous and bewitched artifacts, Annabelle might be deadliest of all. She terrified you in The Conjuring, now, get ready to uncover the origin of Annabelle before the evil was released in the forthcoming supernatural thriller, Annabelle, from New Line Cinema. 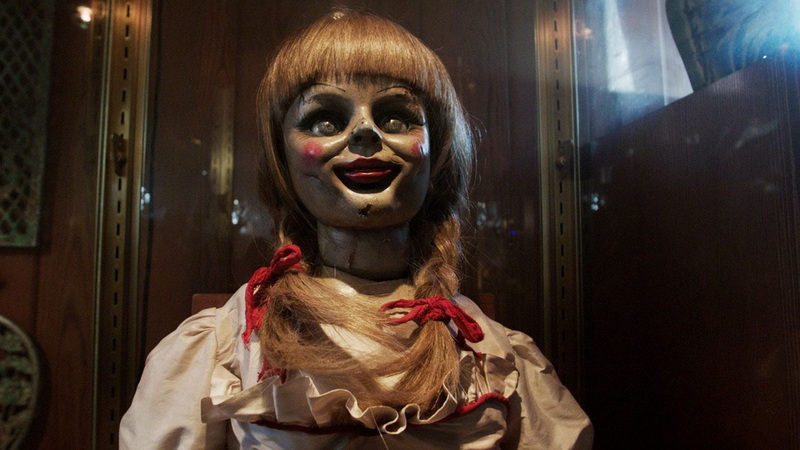 While the film is fictional, here are 10 terrifying facts reported to be true about the real Annabelle. In 1970, a woman purchased a Raggedy Ann doll in a second-hand store as a Christmas present for her daughter, Donna, a nursing student in Hartford, Connecticut. Donna kept the doll on her bed. Everything seemed quite innocent until Donna brought Annabelle to the kitchen for breakfast table where the doll straightened out her arms and put them on the table. From there, things only became weirder. Soon, Donna and her roommate Angie often came home to find Annabelle on the couch when she’d been left locked in Donna’s room. If they ever hold a talent competition for possessed dolls, Annabelle would sweep every category. Standing, kneeling, pivoting on one leg, levitating and even manifesting droplets of blood are only a few of her demonic gifts. At the height of her powers, Annabelle also proved to be a prolific writer, composing cryptic notes on parchment paper. After a month of Annabelle’s eerie antics, Donna decided to contact a medium. The psychic told Donna and Angie that a 7-year-old girl named Annabelle had been tragically slain on the apartment property. The child had taken residence inside Donna’s doll. Annabelle felt comfortable with Donna and Angie. The young nurses, already compassionate souls, decided that there was no harm in welcoming Annabelle into their home. These words, scrawled in childish letters, appeared on a mysterious note that Donna found in her apartment. Donna’s friend Lou, who doubted her stories about Annabelle, seemed to be in fine health. But soon after the mysterious note appeared, Lou woke from a terrible nightmare feeling like he was choking. To his horror, Lou looked down to find Annabelle crawling up his leg. The next day, Lou was attacked by an unseen force that left seven distinct claw marks on his chest. When Ed Warren recounted Annabelle’s story to a priest, the latter reportedly dismissed Annabelle with “You’re just a rag doll, Annabelle, you can’t hurt anything.” Lorraine sensed trouble for the priest and warned him to drive carefully. He later called to tell Lorraine he’d been in a near fatal car wreck on the way home when his breaks failed. One visitor to the Occult museum broke the rules by opening Annabelle’s box and touching the doll, apparently challenging her to “do her worst.” Later that day, the man allegedly died in a motorcycle accident. His girlfriend survived, but had to spend nearly a year in the hospital recovering from her injuries. Despite achieving icon status, the original Annabelle still resides in the same humble protective box in Lorraine Warren’s Occult Museum in Moodus, Connecticut. But her sedentary lifestyle hasn’t diminished her power. According to Lorraine, Annabelle sometimes moves around and growls at unsuspecting visitors. Annabelle will be released worldwide beginning October 3, 2014, from Warner Bros. Pictures.